Governor signed this lifesaving legislation into law on 5/16/13 after Senate vote on 3/21/13 - overwhelmingly in favor (46 to 1), and House vote on 3/18/13, overwhelmingly in favor (113 to 23). Thank You to Governor O'Malley, Senator Benson, Delegate Frush, and to the many Senators and Delegates who voted to save lives and money in Maryland! Thank you to the thousands of individuals, businesses, organizations, agencies, veterinarians, and coalition partners who stood together, strong and in unprecedented numbers, ensuring this lifesaving legislation passed. Because you cared, because you were not silent about things that matter, thousands of lives of Maryland's homeless pets will be saved. Each of you is a hero. Legislation has been introduced in the Maryland Legislature. Legislators need to hear from you TODAY! Please ACT NOW and send a letter to save lives by supporting the voluntary spay/neuter program in Maryland! The Maryland Spay/Neuter Task Force report shows that the State of Maryland needs a state spay/neuter program to combat the serious and costly homeless pet problem and euthanasia rate in Maryland. This is an avoidable tragedy for which there is a humane and fiscally responsible solution. takes as many lives as euthanasia. Maryland destroys over 45,000 cats and dogs in Maryland shelters at an estimated cost of $8 to 9 million dollars every year ($175-200 per animal). Maryland’s euthanasia rate has remained constant for 10 years. The 96,000 pets entering Maryland animal shelters each year stand barely a 50% chance of survival. Destroying cats and dogs in Maryland shelters day in and day out places significant cost burdens on local government and takes an indescribable toll on shelter workers. Shelters are overwhelmed with many working in triage mode. This is a needless and avoidable tragedy. These are not statistics for Maryland to be proud of and this must change. Spay/neuter programs are proven to be the best antidote to mass euthanasia. They are the most humane and fiscally responsible way to address the shelter pet population problem. Establishing a state spay/neuter program is the best way to reduce Maryland's euthanasia rate and the millions of dollars spent to destroy Maryland’s homeless pets. A Maryland program will save lives and money. Thirty-four states have established funding mechanisms to support spay/neuter programs. It is time for Maryland to join them and pass a state program now to reduce Maryland's intake and euthanasia rates. New Jersey witnessed a 61% decrease and New Hampshire had over a 75% decrease in euthanasia rates after implementing state programs. For every $1 invested in the state spay/neuter program in New Hampshire, $3.15 were savedin reduced costs for intake and euthanasia. 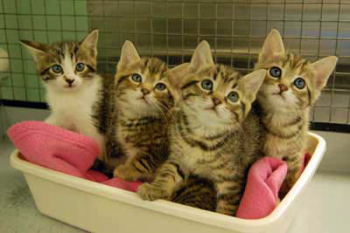 Spay/neuter programs reduce risks to public health and safety. Reduction in public health risks from rabies. 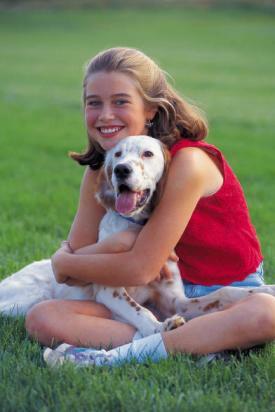 Rabies is a significant disease and ongoing threat to Maryland residents (Md-DHMH). Unaltered animals have been found more likely to roam and spread disease, such as rabies, that threaten human health, pets, and livestock. Prevention of dog bites. Altered dogs have been found to be less likely to bite than intact dogs. Spay/neuter can help prevent dog bites according to the CDC, AVMA, USPS, and the Insurance Information Institute. Increase safety and environmental protection. Roaming pets can fight, harass livestock, destroy property, cause auto accidents, and leave waste. A spay/neuter program will reduce these community problems by reducing the homeless pet population and roaming behaviors. 45,000 homeless unwanted cats, kittens, puppies, and dogs were destroyed in Maryland last year. It is time for Maryland to pass a voluntary spay/neuter program to reduce Maryland’s euthanasia rate and start saving lives and taxpayer money now! Maryland lawmakers need to hear from you! Please, ACT NOW and send a letter to save lives today. With it nothing can fail; Without it nothing can succeed. 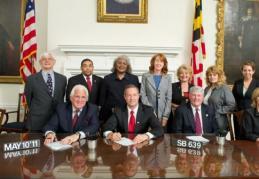 The Maryland Spay/Neuter Task Force was created by the General Assembly and the Governor. Members included representatives from animal control agencies, shelters, the pet industry, State and county agencies, rescues, animal welfare advocates, veterinarians, and the Maryland Senate and House of Delegates. The Task Force found there is a shelter pet population problem in Maryland that places significant cost burdens on local governments, trauma on the staff of animal shelters, and presents an avoidable and unnecessary loss of animal life. The Task Force recommends increasing spay/neuter surgeries through a well-designed voluntary program to reduce intake and euthanasia rates of unwanted animals in Maryland animal shelters. A spay/neuter program will save lives and money. State Spay/Neuter Task Force signed into law by Governor O'Malley, with Senate President, Mike Miller and Speaker of the House, Mike Busch. Back row: Frank Branchini, Durand Ford, Senator Benson, Carolyn Kilborn, Delegate Frush, Wendy Cozonne, Tami Santelli.